Sound sources to measure insulation and sound reverberation time, able to generate both pink and white noise. 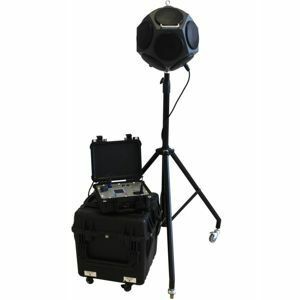 This unit consists of an omni-directional loudspeakers for acoustic measurements BP012 and the Amplifier for omni-directional sound source AP602. 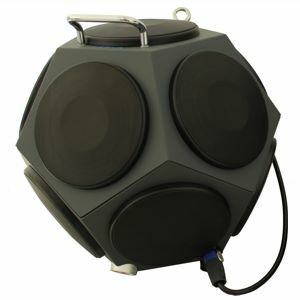 Omni-directional Loudspeaker; The BP012 has 12 loudspeakers mounted on dodecahedral housing. 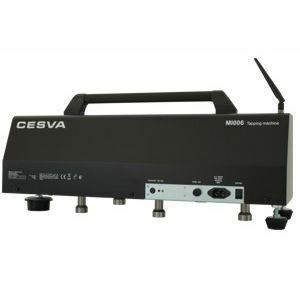 This ensures a complete omni-directional radiation diagram developing up to 123 dB (PWL) sound power with pink noise in 1/3-octave bands from 50 - 5000 Hz for more than an hour. Amplifier for omni-directional sound source comprises a white and pink noise generator, 1/3-octave band graphic equalizer and a power amplifier. 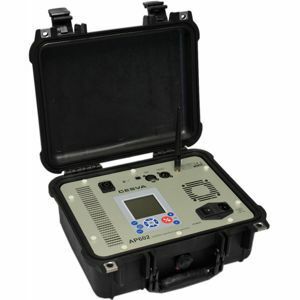 A standardised (ISO 10140-3 and ISO 140-7 ) Tapping Machine designed to generate normalised impact noise for laboratory and field measurements of impact sound insulation.